The first ever UK wide Coaching Conference is being hosted by sportscotland, and takes place at Oriam Sports Performance Centre, Edinburgh on 26th and 27th June 2018. The event is supported by all sports council partners across the UK, and aims to attract 250 coaches and coaching system builders from across the sports sector. Recognising 2018 as the Year of Young People, the event theme is Coaching: The Next Generation. The UK Coaching Conference 2018 booking site is now live, and can be accessed here. There, you will find out all you need to know about the conference and of course be able to book at the early bird rate. All nominations must be received by Wednesday 4th of April 12.00pm. Please note, coaches can also self-nominate. 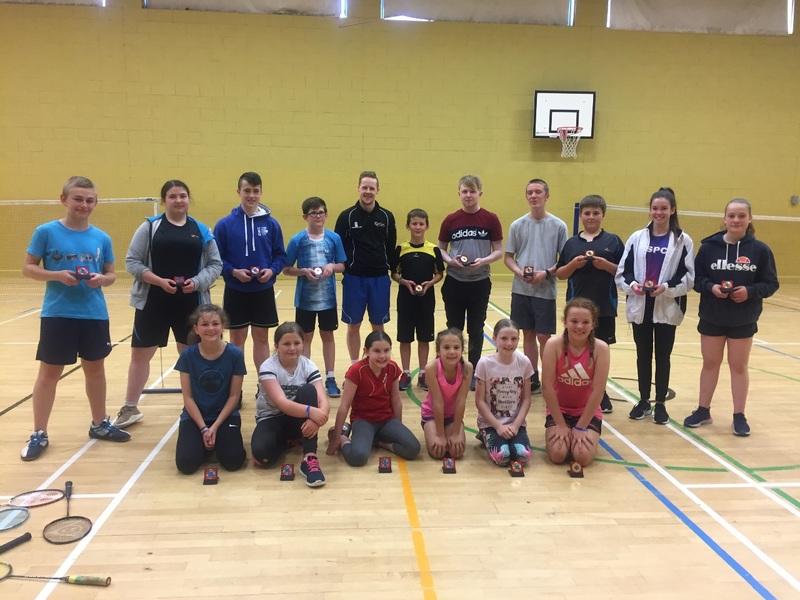 Over 20 players took part in the first junior badminton championship to be held for some time. Five hours of play provided opportunities for all, including four hardy players who had travelled up that morning from Barra. Thanks to Orla, Seumas, Ellie and Ben for making the effort to ‘pop up’ for a game. Highlight of the day, was not just the wide smiles on all the players faces, but the enthralling u17 boys final which saw Cameron Mackenzie (Point) and Keith Bray (Tong) battle out a 3 set nail-biter. Keith just edging it in the end, two games to one. There was only a racket string between them, and the spectators and fellow players gave them a rousing applause after their epic match. Thanks to all who played. Hopefully we can do the same again next year. The competition had a total of 26 entries (9 pairs in the Men’s doubles, 5 pairs in Ladies doubles and 12 pairs in the Mixed doubles). All the doubles competitions took the format of group sections with the group winners progressing to the finals. With just over six months to go before the TOTAL BWF World Championships 2017 comes to Glasgow, BADMINTONscotland are already determined to introduce 30,000 schoolchildren to the sport as part of the World Championships Legacy Programme. But the challenge doesn’t stop with the youngsters. 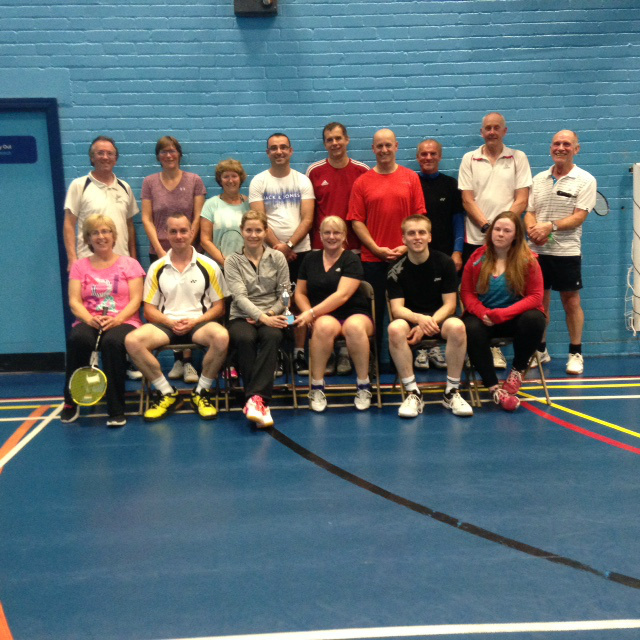 BADMINTONscotland has just launched Smash In2 Badminton (SI2B), a new national participation programme giving people of all ages the opportunity to play badminton in a relaxed and fun environment. Sessions will be pay and play with an organiser or coach on hand to support. Lyndsay Morrison, BADMINTONscotland’s Coaching and Development Manager, said: “For participants, the Smash In2 programme will give people of all ages and abilities, the opportunity to play in a fun and sociable environment, learning something new or returning to a sport they used to play. Smash In2 clubs can be organised anywhere in Scotland through local authorities, facility providers, sports development, schools or existing clubs. For some participants, this will be part of the entry point into the sport and could lead to joining an already established club. 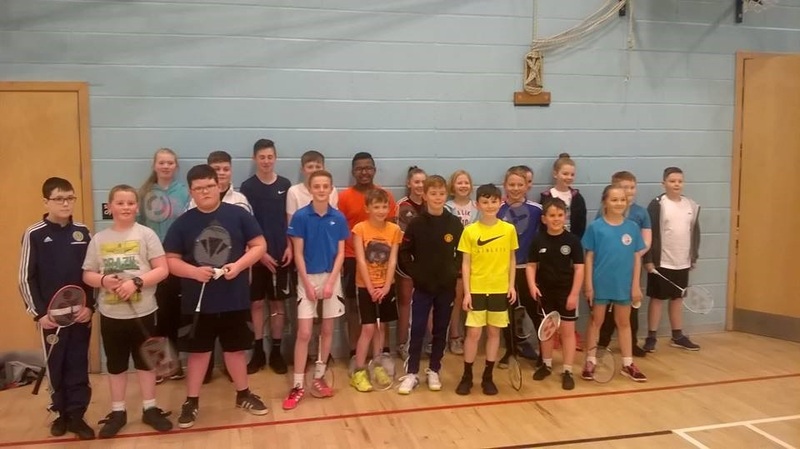 Sessions can also be organised by existing clubs by way of offering more opportunities or as a development pathway into more competitive badminton. Some sessions may already be in place and Smash In2 can enhance the programmes that are already running around Scotland and build on the positive opportunities that are out there. There are many benefits for organisers to being part of this national initiative and Craig Smith, SI2B Organiser, said: ‘’The Adult SI2B at Allander has been very successful with attendances as high as 22 participants. It has been great to see varying abilities and local people of all ages taking part, having fun and keeping fit through the sessions. John Farr, EDLC Sports Development Coordinator, said: ‘’I am pleasantly surprised about the numbers. One of the things that has stood out to me is the adults who have come back into the sport as well as attracting new beginner adults. “The session has a relaxed social setting where adults enjoy both playing and socialising. Many of the players have commented on the benefits the session has had on their overall personal health. 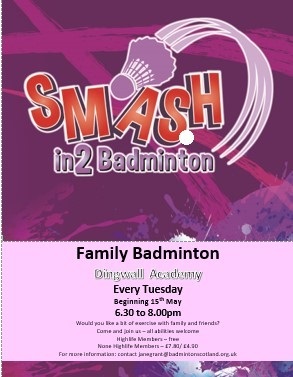 For more information on how to set up a Smash In2 class or if you would like to find out where your local Smash In2 session is, visit www.badmintonscotland.org.uk or contact Lyndsay Morrison on 0141 445 1218. 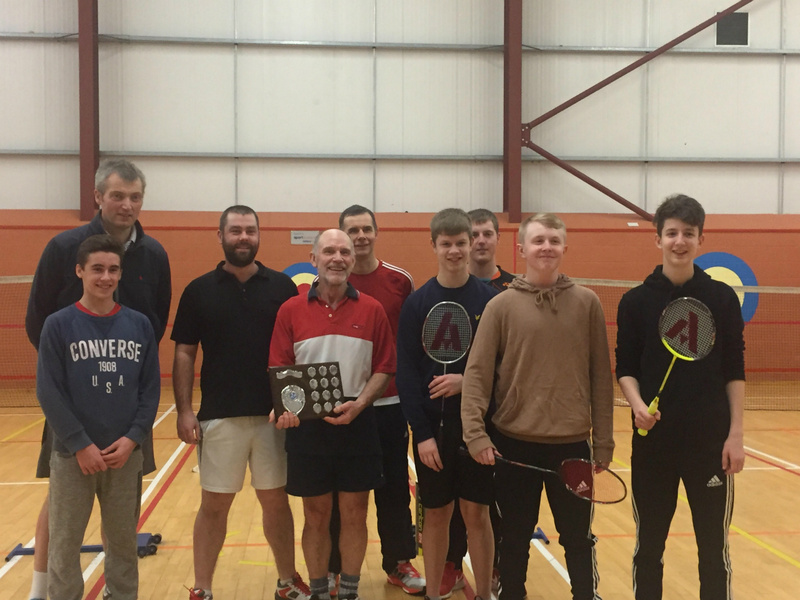 There were 14 competitors and we were delighted to welcome players from Moray and Inverness. I would like to highlight how impressive our junior players were. Angus Duffy (13) and Alasdair McCruden (13) as always played impressively beating the men in two of their games, with each game played to 21. Ian Campbell and Callum Burge, although placed 4th in the finals, they actually won all 6 of their qualifying rounds. Outstanding. 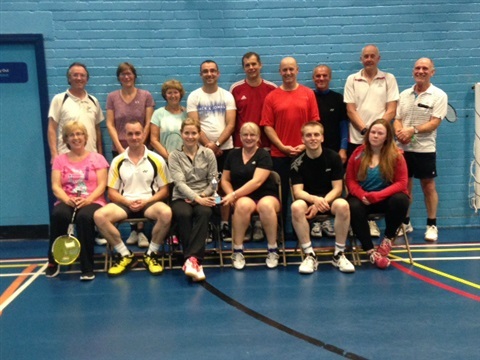 Thank you to everyone who took part, what a great night of badminton and special thanks to Anna McGregor for scoring. The Spectrum Centre, Inverness (beside the Bus Station and the Rose Street multi storey car park). I am looking for any parent, teacher, volunteer, ASC, who feel that they could be of some assistance to this group. For the past few years we have been hanging on by a thread!! Last year we only managed to run the individual secondary school event and the individual primary event. While covering the Highlands & Islands and visiting schools, both Primary and Secondary, there is a lot of badminton being played but could we offer more for these players? Would you be interested in more competitions, more coaching in your schools/areas. Please come along on Monday 16th May to air your views and hopefully begin to work as a group. If you feel you could help in any small way but are unable to attend please get in touch with myself. The SSBU are holding their AGM on the 5th June in Perth so I would like to have some positive information to feedback to them before then.